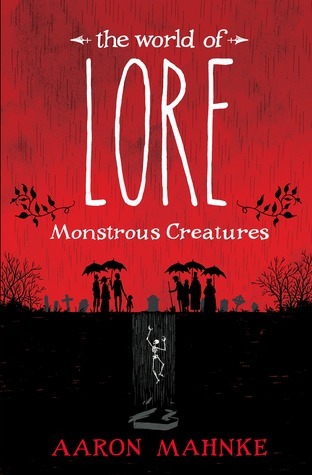 iIn this beautifully illustrated volume, the host of the hit podcast Lore serves as a guide on a fascinating journey through the history of these terrifying creatures, exploring not only the legends but what they tell us about ourselves. Aaron Mahnke invites us to the desolate Pine Barrens of New Jersey, where the notorious winged, red-eyed Jersey Devil dwells. He delves into harrowing accounts of cannibalism–some officially documented, others the stuff of speculation . . . perhaps. He visits the dimly lit rooms where seances take place, the European villages where gremlins make mischief, even Key West, Florida, home of a haunted doll named Robert. Why did I want to read The World of Lore? Monsters! Tis the season of Halloween, and what better book to learn about all the monsters from urban legends? The World of Lore: Monstrous Creatures. I have always been fascinated by the stories of monsters to lurk in the shadows from vampires to ghosts (even if they scared me). What do I like about it so far? I like how it explores the history behind the different monsters—where it all started. Take vampires. This book talks about the inspiration of what took the shape of vampires and the fear that people had for the buried dead. It discusses various people who were deemed as vampires, and boy, it’s so fascinating. 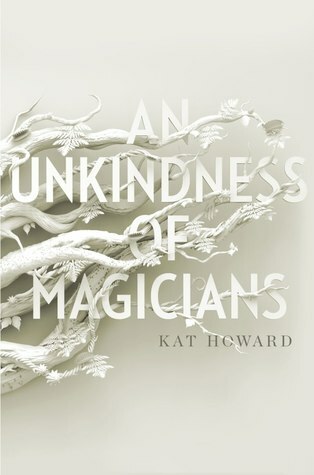 Why did I want to read An Unkindness of Magicians? I had been on a magicians kick lately—as in craving to read books about magic, and voila, An Unkindness of Magicians showed up. What do I like about it so far? I love the different houses battling each other to become the House that controls everything. I love seeing the power struggles and the dynamics between the houses and people. Everybody wants to be in control, but there’s that one person—Sydney—who wants to mess it all up. I’m here for that! I’m definitely curious with the Lore book since I love the podcast. And Lady Killer sounds amazing! 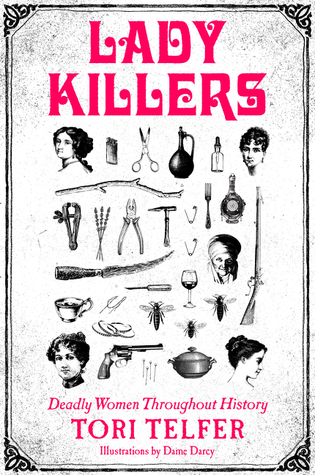 I think Lady Killers sounds fascinating! I find serial killers interesting, but you’re right, most people focus on the men, but there are women serial killers!